Blemishes are referred to as the turning of natural skin color into a dark spots or discoloration. 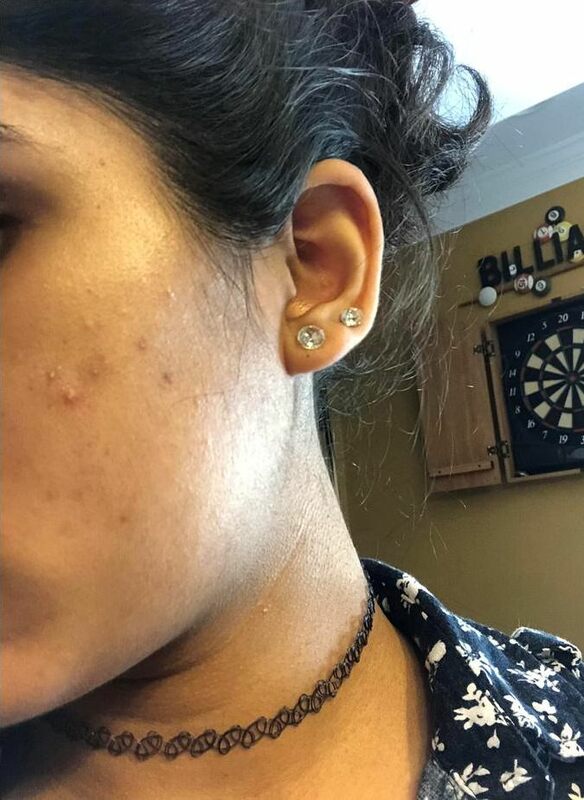 Blemishes are generally appeared when there is an acne breakout, including the factors like hormonal imbalance, improper skin care, genetics, sun exposure and aging process. Clogged pores also cause blemishes that might be categorized as blackheads, whiteheads, pustules and pimples. All these problems are tending to believe as blemishes. There is not a specific part of the body on which it occurs, but it can be appear on any part of the body but most probably on the face, neck, shoulders and back. Many types of products are available in the markets to fight against with the blemishes but those products are expensive and have many side effects as these contain harmful chemicals that might be not good for your skin. So instead of using those harsh products, why should not try the natural ingredients? Yes, natural ingredients contain lots of properties beneficial for your skin related problems. Try the remedies described below to get rid of the blemishes in a natural way. Lemon is a bleaching agent and it works excellently as a skin-lightening ingredient to disappear the dark spots and hyperpigmentation. Lemon has citric acid which helps in exfoliating the skin by removing the excess oil and kills the acne bacteria. Apply fresh lemon juice directly on your skin by gradually rubbing on the blemishes. Leave it for 20 minutes and then rinse it off. Do this remedy for a month. Another option is to mix one-quarter tsp of each lemon juice and honey together. Rub it on your skin then wash it off after 20 minutes. Repeat for few times a week. Mix equal parts of lemon and tomato juices together. You can also add one tbsp. of oatmeal powder just for exfoliating the skin. Apply the mixture on the affected area and leave for 15 minutes. Wash it off and repeat the process daily or four times a week. Tomato is rich in vitamin C and antioxidants, it helps your skin to start glowing and treat the blemishes. If your skin contains large pores, always use tomato juice because it shrinks these spots due to its astringent properties. Tomatoes are helpful to reduce the suntan as it has high lycopene content. Tomato pulp is good for massage, so massage your skin with it. Follow this simple and amazing remedy for certain weeks. Apple cider vinegar has compound called alpha hydroxy acids in a great amount. It helps in making your skin light and reduces the blemishes; it balances the skin’s pH levels and opens the clogged pores as well. Apple cider vinegar contains anti-inflammatory and antibacterial properties thus it battles with the acne breakouts. Mix one part of organic apple cider vinegar and three parts of water, if you think that the mixture is too strong then you can increase the quantity of water. Dip a cotton ball in this mixture then dab it on the affected area. Leave it for 15 minutes then wash it off. Use three times a day until the blemishes are disappeared completely. Potato juice has a starch content that is helpful in reducing the hyperpigmentation. It also clears the dark circles under your eyes. Take a small sized potato, peel and grate it. extract the juice using a fine cheesecloth. Soak a cotton ball in this juice then apply on your skin. Leave it for 20 minutes before rinsing it off. Do this daily for a month until you satisfied with the results. Fuller’s earth is commonly known as multani mitti which is good for exfoliating the skin in order to remove the dead cells and get rid of the blemishes. It absorbs the excess oil from your skin. In a bowl, add green tea, sufficient rose water, lemon juice or plain water, two tbsp. of fuller’s earth and make a smooth paste. Apply this soothing paste on your skin and let it sit for 20 minutes. Rinse it off with cold water. In two tsp of fuller’s earth, mix one tsp of each tomato juice and sandalwood powder and make a smooth paste. Spread it thoroughly on your entire skin and leave for about 20 minutes. Wash it off. Aloe vera leaves contain a gel which has polysaccharides that help to grow the new skin cells and heal the scars and blemishes. It contains anti-inflammatory properties that are beneficial for natural acne treatment. Extract the fresh aloe vera gel from an aloe vera leaf then apply directly on your skin. Leave it until it becomes dry then wash it off. Repeat daily for a month or more. Create a mixture of two tbsp. of aloe vera gel and one tsp of lemon juice and sugar. Rub on your skin with gentle hands then leave for 15 minutes and rinse it off. 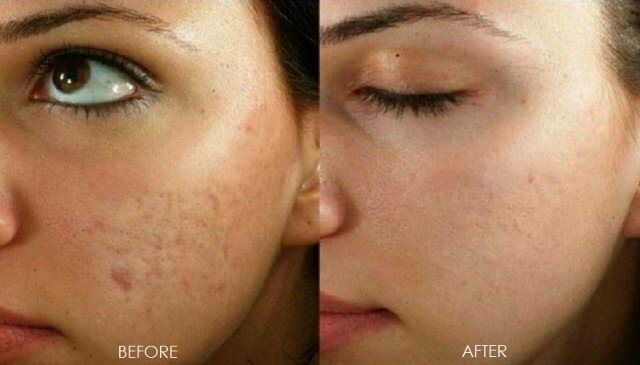 Do this three times a week until you get rid of blemishes. Strawberries are rich in nutrients and antioxidants that help in maintaining the clear skin. These are rich in vitamin C, alpha hydroxyl acids, salicylic acid and ellagic acid. It helps in exfoliating the dead skin cells and fights against acne and scars. With the help of fork, mash three strawberries. Mix them with two tsp of each plain yogurt and organic honey. Now add 1 tbsp of ground oatmeal. Rub this paste on your face and neck then leave it for 15 minutes. Wipe it off with a warm washcloth. This will be helpful for opening the clogged pores. Do this remedy for at least twice a week. Orange peel also works as a natural bleaching agent that lightens your skin and clears the acne and scars. Orange peel is rich in vitamin C and antioxidants, that it tones your skin and leaves a youthful glow on your face. Mix two tsp of orange peel powder and one tsp of each organic honey and plain yogurt. Spread the mixture on your skin and leave it for 15 minutes. Wash it off and do this remedy three times a week. Cucumber has a soothing effect for your skin and it works as an astringent, helps to open up your pores thus clearing the blemishes. It also improves the texture of your skin by reducing the inflammation due to its vitamin C and antioxidant properties. Blend one-half cup of peeled and chopped cucumber in a food processor with three tbsp. of lemon juice. Apply this paste on your skin then leave for 20 minutes. Wash it off with cold water and repeat the process until your blemishes are gone away. Alternatively, you can apply fresh juice extracted from a cucumber on your skin with the help of a cotton ball. Leave it for at least 30 minutes then wash it off with cool water. Repeat the process daily for a month. Bananas contain anti-inflammatory properties that are powerful to reduce the redness, inflammation and swelling. Banana peels are flooded with potassium and antioxidants that are great for your skin. Rub the inside part of a ripe banana on the blemishes for 10 minutes. Leave it as long as possible, you need to wash it off with water. Repeat the process three times a day until your skin is free from blemishes. If you really want your skin to be glowing and beautiful, you should take proper care of your skin by eating a healthy diet, drinking plenty of water and prevent your skin from sun damage. Make sure that you wash your face two times daily using a gentle soap or face wash. Do not try to squeeze or pop your pimples with your fingers.